Johann Ludwig Böhner (1787-1860), talented composer, virtuoso pianist and organist, had as a child the musical influence of his father, also organist. He was born in Töttelstadt (Germany), and studied composition with Michael Gotthard Fisher before to meet Ludwig Spohr in Gotha, the town where he taught piano from 1805. In 1797, at the age of ten, he composed An die Freude. Between 1811 and 1814, he worked in Nuremberg, where he wrote his most important compositions such as five piano concerts, a Fantasia op.1 for bassoon and orchestra, and the Fantasia op. 21 for clarinet and orchestra, here in the version for clarinet and piano. The brilliant German musician also composed, apart from the above mentioned works, a Symphony in D min. op. 130, a Fantasia for clarinet and piano op. 68, some Lieder, piano and organ works, chamber music for different instrumental combinations and many Operas, we cite for example Der Dreiherrenstein. During his life he worked also in southern Germany and Switzerland too, but he spent his lifetime’s last year until his death in the town of Gotha. Carl Reinecke: (b Altona, 23 June 1824; d Leipzig, 10 March 1910). German composer, teacher, administrator, pianist and conductor. He was given a thorough musical education by his father, J.P. Rudolf Reinecke (b Hamburg, 22 Nov 1795; d Segeberg, 14 Aug 1883), a respected music theoretician and author of several textbooks. From 1845 Reinecke travelled through Europe, from Danzig to Riga; in Copenhagen he was appointed court pianist in 1846, where his duties included accompanying the violinist H.W. Ernst as well as giving solo recitals. He was given a particularly friendly reception in Leipzig by Mendelssohn and the Schumanns, and Liszt, whose daughter was later taught by Reinecke in Paris, spoke of his ‘beautiful, gentle, legato and lyrical touch’. In 1851 he moved to Cologne, where he taught counterpoint and the piano at Hiller’s conservatory. He also gave concerts with Hiller, who recommended him to Barmen. There as musical director and the conductor of several musical societies between 1854 and 1859, he significantly raised the standard of the town’s musical life. He then spent ten months in Breslau as director of music at the university and conductor of the Singakademie. By 1860 his growing reputation brought him an appointment to teach at the Leipzig Conservatory, where he became the director in 1897. By selecting capable teachers who shared his conservative views and by improving the facilities and the syllabus, Reinecke transformed the conservatory into one of the most renowned in Europe. Grieg, Kretzschmar, Kwast, Muck, Riemann, Sinding, Svendsen, Sullivan and Weingartner were all pupils there; and to this distinguished list could be added many other names of equal repute, showing how exaggerated was the reproach, made particularly in north Germany, that Leipzig was a hotbed of reaction (although this criticism had some justification after 1880). But it cannot be denied that Reinecke considered it his responsibility as director to perpetuate the example of the Classical composers; he was very conscious of his position as a representative and guardian of tradition, and also made it his business to foster the music of the pre-Classical composers, particularly Bach, even exploring as far back as Palestrina. He was a sympathetic teacher who firmly believed in the necessity of a thorough grounding. In Leipzig, he was also the conductor of the Gewandhaus Orchestra until 1895 (when Nikisch succeeded him); a stern disciplinarian, he achieved a high standard of virtuosity from his players by his insistence on clarity of execution. Reinecke became a member of the Berlin Academy in 1875, received the honorary doctorate in 1884 and became a professor in 1885. He retired in 1902, though his creative work continued until the end of his life. As a composer Reinecke was best known for his numerous piano compositions, representing virtually every musical form of the time and, despite being influenced by Mendelssohn’s melodic style, was stylistically nearer to Schumann. The exercises for young pianists and the piano sonatinas have become classics because of their charming melodies, as have the canons and nursery rhymes which are highly inventive and totally free from bourgeois sentimentality. Reinecke was a master of the so-called ‘Hausmusik’ and of the simpler forms popular at the time. His chamber music is distinguished and, in the later works in particular, attains a Brahmsian majesty and warmth within a variety of forms. His sonata for flute and piano, Undine, is his most frequently performed work. His most successful concertos are those for flute and for harp, and the first and third for piano, which well display his pleasant melodic sense and his admirable ear for orchestration; the piano concertos avoid grand soloistic mannerisms, and his own style of playing, with hands still and fingers curved, reflected his belief in classical practice. Of his three symphonies, the first employs small forces, while the second is a cyclically organized work on a grand scale. His operas, despite their Wagnerian trappings, were not successful; his better-known musical fairy tales, based in part on his own texts (written under the name Heinrich Carsten), were composed in a tasteful folk-style. Gifted in many fields, he was also a talented painter and poet. His lucidly written books and essays contain many observations still of interest. Gustav Jenner (1865-1920) approached the music because his parents, amateur musicians, who often played at home. As a child, he received the first piano lessons and he undertook the composition as a self-taught person. For this German composer it was very important to meet the great musician Johannes Brahms (in 1887) who undoubtedly influenced Jenner’s musical life, and introduced him to the Viennese environment of that period. The Sonata in G major Op. 5 here recorded was published by Breitkopf und Härtel in May 1900, but it had been previously performed in 1899 in Vienna and in January 1900 in London. In both occasions, it was Richard Mühlfeld, excellent clarinettist and Brahms’ clarinet works dedicatee, who performed the Sonata in G major. Jenner had the opportunity to listen to the Brahms’ Sonatas for clarinet played by Mühlfeld during period he spent in Vienna. The references to Brahms’ writing are undoubtedly clear in the Sonata op. 5, like for example in the Lento movement that definitely reminds the Adagio of the Trio op. 114 of Brahms. Johann Ludwig Böhner: (b Töttelstedt, Gotha, 8 Jan 1787; d Gotha, 28 March 1860). German pianist, conductor and composer. He was the model for E.T.A. Hoffmann’s ‘Capellmeister Kreisler’ and thus of Schumann’s Kreisleriana. He had his first keyboard, violin and composition lessons from his father, a local teacher and Kantor, and as a child showed an immense talent for music. Before he was ten he had set Schiller’s Ode to Joy for soloists, chorus and orchestra and written many other works. His parents sent him to Erfurt to study at the Gymnasium and the teacher-training college; he graduated in 1805 and was sent immediately to Gotha for further instruction with Spohr, writing his first significant pieces at about this time. In 1808 he went to Jena, where he became a piano teacher and eventually joined the artistic circles of Hoffmann and Goethe. He made his first concert tour in 1811, the success of which won him the music directorship of the Nuremberg city theatre, a post he held shakily until 1815. Further concert tours followed, the last of which – to Copenhagen in 1819–20 – ended in a complete nervous breakdown which thoroughly destroyed his artistic career. He spent the last 40 years of his life lonely and deranged. He continued to compose, eking out a living from the pieces that he published, but these do not compare with his youthful work. Hailed as the ‘Thuringian Mozart’ in his youth, Böhner won praise for his virtuoso piano pieces and his orchestral works. The influence of Spohr kept his style mainly along Classical lines, but he also anticipated Weber in a number of respects: in the concert overture (a genre that Böhner seems to have invented), in the use of the clarinet as a virtuoso solo instrument with orchestral accompaniment, and in the use of the elements of hunting, peasant life and the forest in opera (Böhner’s Dreiherrenstein, 1810–13, anticipates Der Freischütz by almost a decade). Many of Bohner’s works were published in his lifetime, and around the turn of the century many of his unpublished manuscripts were collected by a small Böhner Society in Gotha (now in D-GOl). Max Bruch: (b Cologne, 6 Jan 1838; d Friedenau, Berlin, 2 Oct 1920). German composer. The son of a police official, Bruch received his first musical education from his mother, herself a singer. He began to compose from the age of nine; a Septet, written when he was 11, bears early hallmarks of his future style and assured scoring. At 14 he won the coveted Frankfurt Mozart-Stiftung Prize, which enabled him to study with Hiller, Reinecke and Ferdinand Breunung. His first substantial work was an opera based on Goethe’s Scherz, List und Rache, written and performed in Cologne in 1858 (no orchestrated version survives), after which his teachers encouraged him to travel throughout Germany. He went to Leipzig, a city whose musical life was still dominated by Mendelssohn’s influence, but settled in Mannheim between 1862 and 1864. There he wrote two works which would bring his name before the German public, the opera Die Loreley and the male-voice cantata Frithjof. The opera, based on the Rhine legend and to a libretto by Emanuel Geibel (Mendelssohn considered it shortly before his death), is most effective in the second act, in which the heroine enters into a pact with the river spirits. After a few successful performances in German and other European cities, brief revivals in Leipzig under the young Mahler (1887) and in Stuttgart under Pfitzner (1916), the opera disappeared from the repertory until stagings in Oberhausen (1984) and its British première in London (1986). Bruch wrote one further opera, Hermione (based on The Winter’s Tale), in 1870, but it had no success. Frithjof, however, was the first of many successful choral works which kept his name before the German public throughout his long life. From 1865 to 1867 Bruch was music director to the court at Koblenz, and it was there that he wrote his first violin concerto, in G minor op.26, the work with which his name has always been associated (much to his distaste, for most of his other compositions were subsequently neglected). His friendships with such violinists as David, Joachim, Sarasate and Willy Hess, and the advice he received from them, inspired nine concerted works for that instrument, which ‘can sing a melody better than a piano, and melody is the soul of music’. The slow movement of op.26 is a fine example of Bruch’s ability to shape a melody. Between 1867 and 1870 he held a similar court post at Sondershausen and, after a freelance career as a composer until 1878, held conducting posts in Berlin (1878–80), Liverpool (1880–83) and Breslau (1883–90). He then directed a masterclass in composition at the Hochschule für Musik in Berlin (1890–1911), where he died at the age of 82, honoured but lonely and somewhat neglected as a composer. His utter distaste for and outspoken criticism of the New German School of Wagner and Liszt isolated him more and more throughout his life. His reverence for the music of Mendelssohn and Schumann and his resistance to change meant that works written at the end of his life, such as the chamber music of 1918, sounded much the same as those compositions dating from 60 years earlier, although his ability to orchestrate almost equalled his melodic invention. He wrote three symphonies (1868, 1870, 1882), all of which contain good material. Bruch was respected as a teacher in his later years, with Respighi and Vaughan Williams among his pupils in his Berlin composition classes. He was awarded an honorary doctorate by Cambridge University in 1893. Bruch loved folk music as a source of melody, and many of his works were derived from such countries as Scotland (Scottish Fantasy op.46, Das Feuerkreuz op.52), Sweden (Serenade on Swedish Melodies op.posth., Swedish Dances op.63) and Russia (Suite on Russian Folk Melodies op.79b). During his Berlin years he conducted the Sternscher Gesangverein, a choir from whose Jewish members he received material used in his three Hebrew songs, published in 1888, and Kol nidrei op.47. Both works were written in Liverpool, where he succeeded Sir Julius Benedict as conductor to the Philharmonic Society for three somewhat turbulent years. He was appointed on the strength of the successful performances he conducted there of his secular oratorios Odysseus op.41 in 1877 and Das Lied von der Glocke op.45 in 1879. These large works, together with Arminius op.43, Achilleus op.50 and Moses op.67, were often performed and well received throughout Germany, particularly during the 1870s when the country was unified under Bismarck and the subject matter appealed to prevailing nationalist sentiments. However their appeal in the British Isles and the USA (he conducted several American choral societies on a visit in 1883) was somewhat short-lived, largely because of poor translations and anti-German feeling at the outset of World War I; nevertheless several performances have occurred in more recent years. Max Bruch’s precocious gifts remained largely unfulfilled for two reasons. He was an exact contemporary of Brahms and was forced to exist in the shadow of his greater colleague even beyond the latter’s death over 20 years before his own, and the stubborn resistance he maintained to musical developments largely instigated by Wagner stifled any of his own originality. Nevertheless his name will endure, if only thanks to one superb violin concerto. Scarpa, Damiano (Cellist), Born in 1985 Castelfranco Veneto, Damiano graduated in cello with highest marks under the guidance of Pietro Serafin and in chamber music with Filippo Faes e Domenico Nordio at the Conservatory of the same city. He later graduated “mit Auszeichnung” at the Universität Mozarteum Salzburg with Enrico Bronzi. He studied with Meunier, Ormezowsky, Meneses, de Saram; at the Academy Walter Stauffer in Cremona with Maestro Rocco Filippini and Mario Brunello to the yearly Master Class in Castelfranco Veneto. In 2006 he won the National Competition “Società Umanitaria” in Milan, in 2007 the first prize at the sixth edition of the ” La fabbrica delle note” and the first prize at the National String Festival of Vittorio Veneto. In 2008 he won first prize at the Intenational Chamber Music Competition Award City of Padova. At the sixth edition of the International Chamber Music Competition Silvio Omizzolo in 2008 he won the prize for the best performance of the Omizzolo’s Sonata. In 2010 he won the third prize at the Enrico Mainardi Competition in Salzburg. Damiano Scarpa has performed in recitals in some of the most prestigious Italian Festivals such as the Festival internazionale di Alghero, the Chamber music Festival of the Concorso internazionale città di Brescia, Janigro cello festival, Portogruaro, Festival internazionale Dino Ciani in Cortina, Festival internazionale Valentiniano di Orvieto and many others. In 2010, at the age of twenty-five he won the position of first cello at the Mozarteumorchester Salzburg where he played until 2012. In this same year he was offered a contract for the 2012/13 season with the Bavarian Radio Symphony Orchestra one of the most important orchestras worldwide. As principal cellist Damiano Scarpa regularly collaborates with the Hessischen Rundfunk (Frankfurt Radio Symphony), the Orchestra of the “Teatro la Fenice”, Arena di Verona, Teatro San Carlo in Naples and the Orchestra of Maggio Musicale Fiorentino. Damiano Scarpa was invited to be part of the jury of the IX International Cello Competition Antonio Janigro in Poreč (Croatia) in 2012. He held a professorship at the yearly Masterclasses at the Fondazione Santa Cecilia in Portogruaro and since 2015 he is Enrico Bronzi assistant professor at the Masterclasses of the International music Festival in Portogruaro (Venice) and in Neuberg (Austria). Damiano Scarpa plays a cello by Vincenzo Postiglione, built in Naples in 1905. Zingales, Dario (Clarinettist)studied in Milan, with Prof. Luigi Magistrelli where he graduated with honors for both his first and second degrees. Since 2007, he has studied at the University Mozarteum (Salzburg) with Prof. Alois Brandhofer. In 2012, he completed his Master’s degree at Mozarteum with honors. He is a founding member of the clarinet quartet Fusion Clarinet Quartet with whom he won the Ferrero award for wind ensembles in 2005. Zingales was invited to play for the Società del Quartetto and had also participated in the international MITO Festival in September 2007. Zingales frequently collaborated with the Milano Classica Orchestra, with Salzburg Chamber Soloists and recently with the Teatro Petruzzelli Orchestra of Bari (Italy). He performed under the Andrè Previn’s conduction, Gerd Albrecht and Dennis Russell Davies. He was, also invited to play with the Luigi Cherubini Orchestra under the baton of Riccardo Muti. From August 2009 to September 2012, Zingales was principal clarinet for the Philharmonie der Nationen conducted by Justus Frantz (performing many concerts in America, Belgium, Germany, France, Greece, Italy, Austria, Spain, Switzerland, and Russia). He has been collaborating since 2012 at Bavarian Gut-Immling Opernfestival. As a soloist, he as performed the Sinfonia Concertante KV 297b and the Clarinet Concerto by Mozart with the Symphony Orchestra of the Mozarteum University. In December 2011, he performed the Clarinet Concerto from Mozart with much critical acclaim under the direction of Josef Wallnig in Linz. Zingales is a permanent member of the Bläserphilharmonie Mozarteum, with whom he has already recorded many CDs. As a chamber music musician, he has performed with many great performers such as Wenzel Fuchs, Lukas Hagen, Benjamin Schmid, Pierre Amoyal, Thomas Riebl, Pavel Gililov, Peter Lang and Jacques Rouvier. 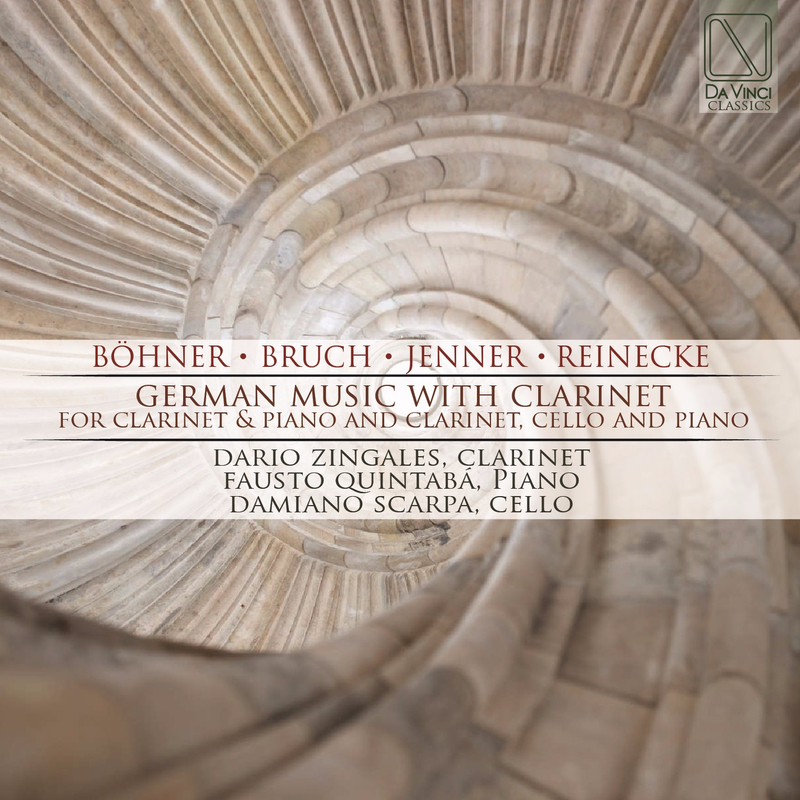 For the CD-Label Urania Records he recorded in 2013 “Grand Duo Clarinet”, in 2014 “SOLO” and in 2015 “Gassenhauer for 3”. For the CD-Label VDE-Gallo he recorded in 2017 “Rare Classical Duos“. Dario Zingales had masterclasses in Argentina (San Juan) and Serbia (Novisad). Since 2017 he has being professor of clarinet at Austrian Master Classes courses since 2017. From 2012 to 2017 he had been Assistant of the Prof. Alois Brandhofer at Mozarteum University. Since October 2015 he has being assistant of the Prof. Wenzel Fuchs at the same University. Quintabà, Fausto (Pianist), Extraordinary pianist and excellent interpreter. This is what the composer Jeseph Horovitz has written about him the day after the recording of the famous Sonatina for clarinet and piano of the same Horovitz that Fausto Quintabà has recorded with the clarinettist Ferdinando Steiner. Fausto Quintabà, born in Palermo in 1977, was awarded the diploma in piano with top marks and distinction under the guidance of the pianist and composer Marcello Biondolillo at the V. Bellini Conservatory in his native city. He perfected his studies with Bruno Mezzena, Aquiles Delle Vigne and Pierluigi Camicia. In 2007 he achieved the piano diploma at the Salzburg Mozarteum under the guidance of Claudius Tanski, again with top marks and distinction. He has performed in several countries including Italy, Austria, France, Germany, Belgium, Holland, Croatia, Serbia, Zimbabwe and Iran. He has played under such conductors as Jo-hannes Kalitzke, Tito Ceccherini, Gaetano Soliman, Peter WesenAuer, Gerhard Sammer and David Danzmayr. He has also worked with various ensembles and International partners, such as the Öenm, the Salzburg Classical Quintet, the INN-strumenti Chamber Orchestra, the Trio Broz, Mirjam Tschopp, Lito Fonatana, Francesca Canali, Alois Brandhofer, the Salzburg Solisten and the Ensemble Acrobat (of which he is the artistic director). As a soloist he has performed piano concertos by Mozart, Beethoven, Shostakovich, Hindemith and Rachmaninov. He has collaborated as a piano accompanist at the Mozarteum Sommerakademie with Peter Gül-ke, Simone Fontanelli and at the Universität Mozarteum with Alois Brandhofer, Josef Steinböck and Grace Bumbry. He is now a teacher at the Innsbruck Conservatory. He has made several recordings with soloists including Lito Fontana, Hans Gansch, Ferdinand Steiner, Dario Zingales and Francesca Canali.